As we are in the group stages, both the teams play in Group A with Colombia and USA. As the Copa America kicked off with the hosts, the USA playing against Colombia but losing the match by 0-2 with goals from Zarate and James Rodriguez and Colombia is at the top of the table with three points from the one game played. 5th June 2016 at 02:30 (IST). Camping World Stadium, Orlando, USA. Their main players to watch are midfielders Celso Borges, who plays in the La Liga club Espanyol, Bryan Ruiz, who plays in the Portuguese club Sporting Lisbon and Joel Campbell who plays in the English club Arsenal. CR in their last four International Friendlies have won two and lost two, won against Uruguay and USA by 0-1. Keylor Navas played in goal, followed by Gamboa, Waston, Acosta, Duarte and Dviedo in the defense and then in the midfield they had Borges, Guzman, and Venegas and in attack they had Campbell and Urena. Apparently, CostaRica had less possession of about 45% as compared to USA’s 54% but had 15 shots out of which five were on target. While the USA had four shots out of which three were on target and Joel Campbell was the scorer in the 70th minute of the game, and Costa Rica won the match. 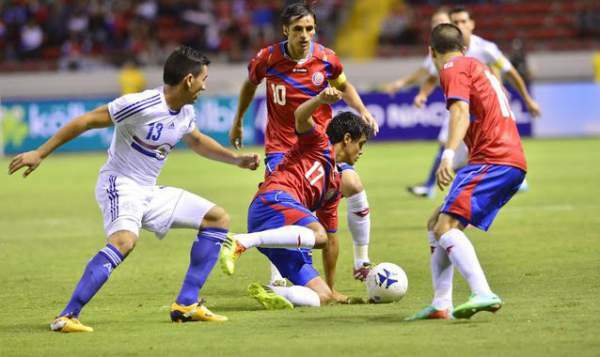 Paraguay is ranked 39 in the rankings, and their manager Ramon Diaz has a very strong squad as well. The players to watch on this team are forwarded Derlis Gonzalez, who plays in Ukrainian club Dynamo Kiev, Nelson Valdez, who plays in the American club Seatle Sounders, Dario Lezcano, who plays in the German club Ingolstadt and the defender Paulo Da Silva who plays in the Mexican club Toluca. Navas, Acosta, Calvo, Duarte, Gamboa, Campbell, Venegas, Borges, Ruiz, Alvaro, Barreta, Urena. Barrett, Victor Ayala, Fabián Balbuena, Paulo Da Silva, Gustavo Gómez, Celso Ortiz, Robert Piris Da Motta, Blas Riveros, Rodrigo Rojas, Gonzalez, Lezcano. You can watch it live on Sony network.